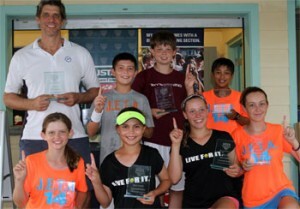 Junior tennis teams from Boca Raton, Gainesville, Jacksonville and Rockledge captured Florida state titles over the weekend at the 2013 USTA Florida Jr. Team Tennis Section Championships, held Aug. 2-4 at the Florida Tennis Center in Daytona Beach. 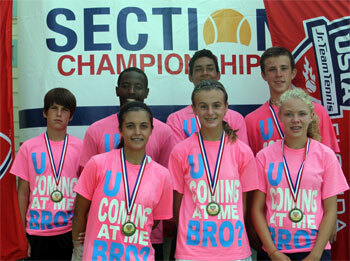 All four teams now advance to represent the USTA Florida Section at the 2013 USTA Jr. Team Tennis National Championships, to be held Oct. 17-20 for the 14-Under divisions, and Oct. 24-27 for the 18-Under divisions at the Cayce Tennis and Fitness Center in Cayce, South Carolina. It is the second consecutive year that Gainesville and Jacksonville send teams to the USTA Jr. Team Tennis National Championships.